The buds are growing bigger. Il mio cuore è pieno di speranza. My heart is swelling with expectation. 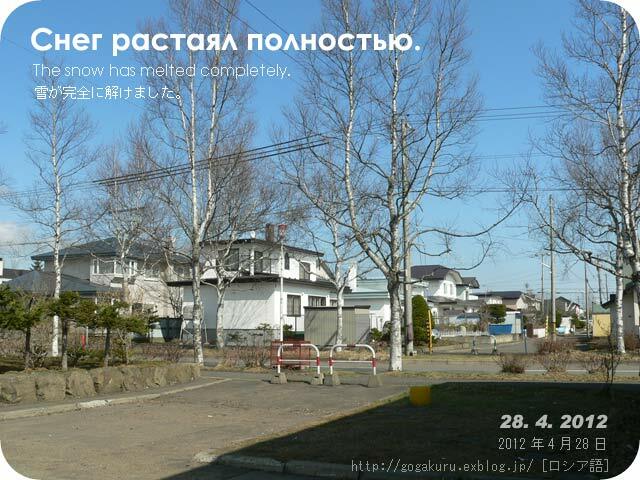 The snow has melted completely. My sister-in-law and her husband came to stay at my house from Sapporo. 오래간만에 이야기를 하면서 저녁 밥을 먹었어요..
We ate supper, talking after a long time. Wǒ kàndàole fēicháng piàoliang de cǎihóng! 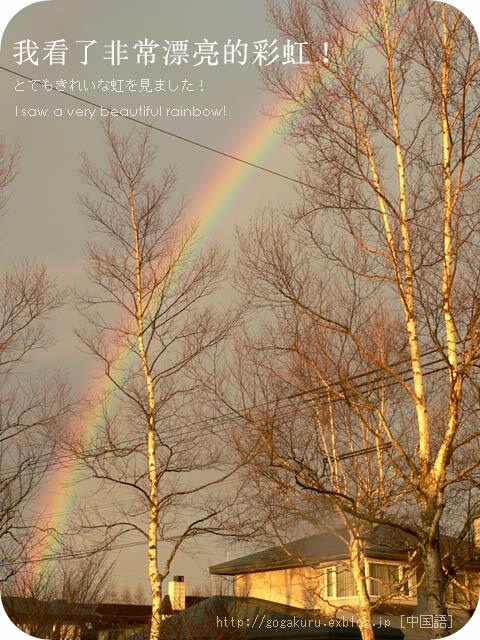 I saw a very beautiful rainbow! Huánghūn shífèn xià zhe xiǎoyǔ, cǎihóng chūxiàn le. 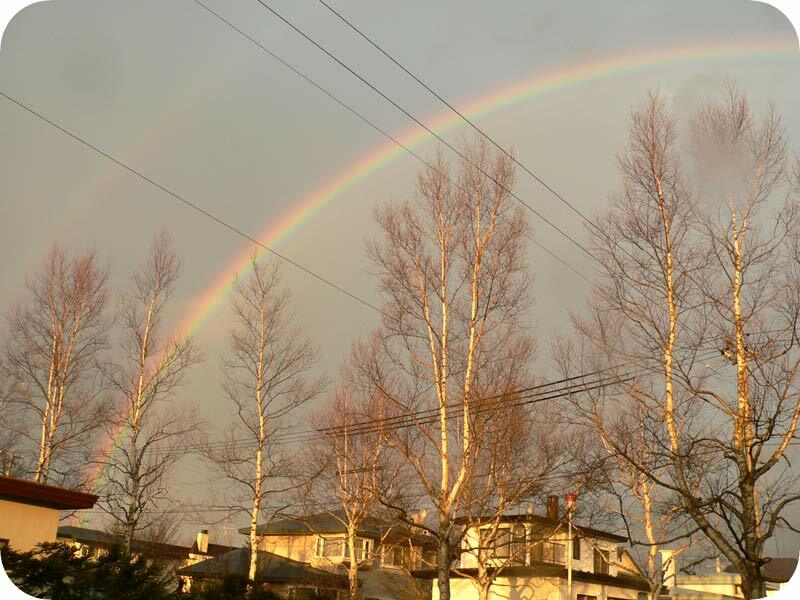 Since the light rain fell in the sunset, it appeared. Yīnwèi tài piàoliang, suǒyǐ wǒ fēicháng gǎndòng. Wǒ wèn nǐ yí jiàn shì. 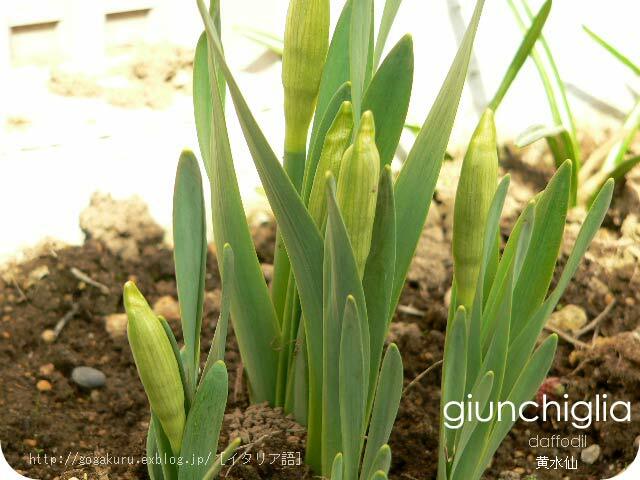 Wǒ gàosu nǐ wǒ de shǒujī hà omǎ. 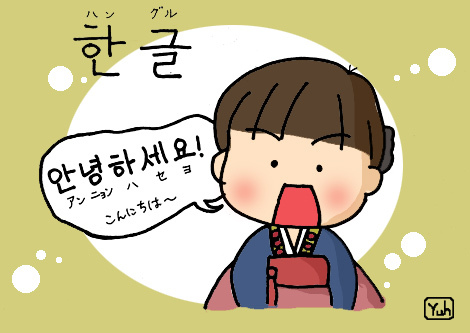 Gàosu wǒ nǐ de shǒujī hà omǎ. Wǒmen qù chī fàn ba. Wǒmen qù shítáng chī fàn. Hoy tengo falta de sueño. Anoche dormí 5 horas. Bueno, voy a dormir a las 11. I got 5 hours of sleep last night. Well, I'm going to go to bed at 11 o'clock. Encantado. よろしく。（男性が言う）　> 女性が言うときは Encantada. devenues nos collègues en avril. We welcomed 19 people who became our colleagues in April. 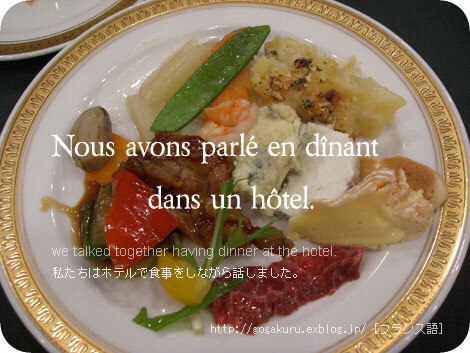 And we talked together having dinner at the hotel. Ich gehe zur Arbeit in einer Daunenjacke. I wear a down jacket to go to work. Es ist jeden Tag kalt. 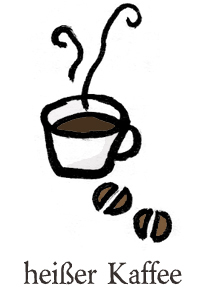 Aber heißer Kaffee macht mich glücklich! But hot coffee makes me happy! 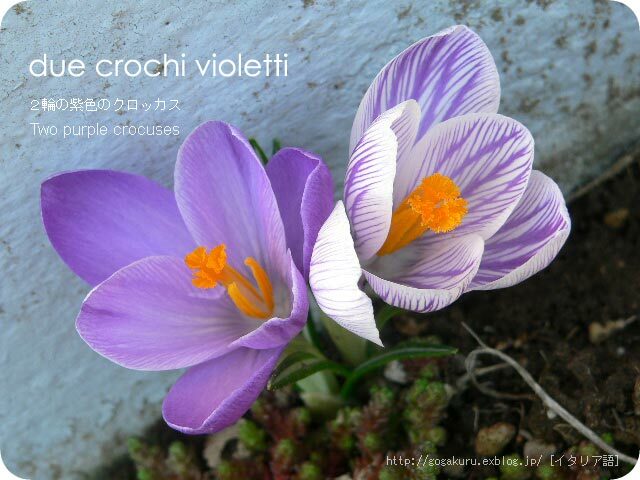 The flower that bloomed first in my garden after the melting of snow is two purple crocuses. 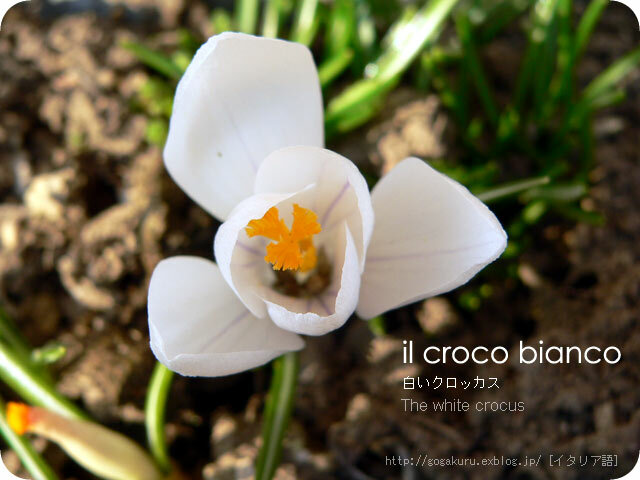 The white crocus also bloomed one week afterward. 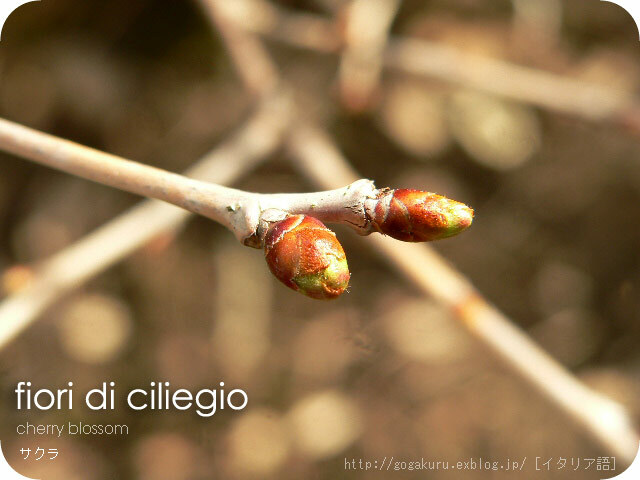 Ma i boccioli degli altri fiori sono ancora duri. 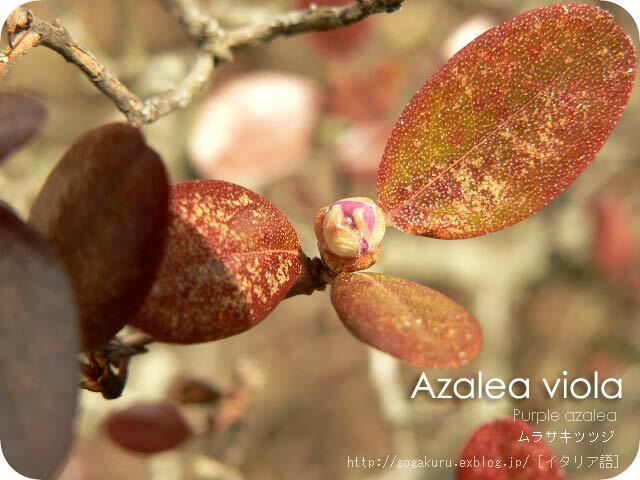 But other flower buds are still hard. Qui si vendono libri usate. Максимáльная температýра былá 10 грáдусов по Цéльсию. 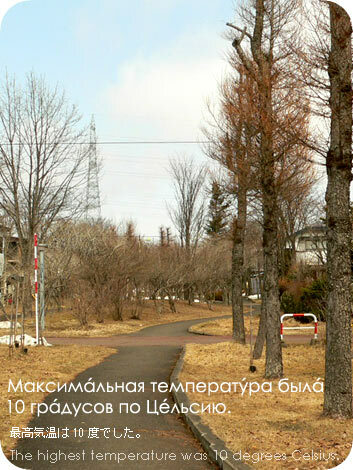 The highest temperature was 10 degrees Celsius. Я хочу видеть мнóго цветов. I hope to see many flowers one of these days. 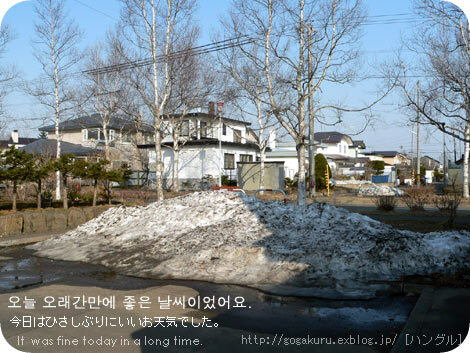 It was fine today in a long time. 바람이 강해서 잔설이 더욱 날렸어요. 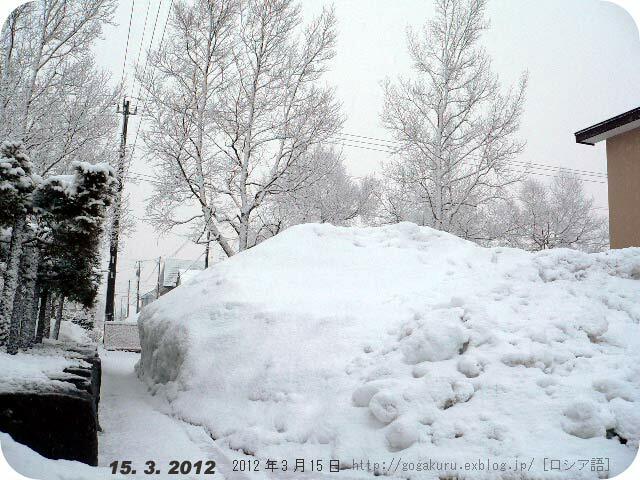 Strong wind melted the snow further. 푸른 하늘을 보아서 정말 기뻤어요. I was very glad to see the blue sky.